The first spring rains fell this week and the world instantly became much greener. I have been surveying the gardens for signs of growth and was excited to see new shoots popping up out of the ground. Sadly, the dandelions already appear to be the most abundant of all the new plants. Murphy, who thinks he’s part horse and started grazing after he watched one doing it in a field, has been marching around the yard with his head down munching on anything green. He, however, is not too picky and thinks my daylilies look a lot like grass which has caused me to go running into the yard screaming, “Murphy NO!” several times this week. I love my gardens. 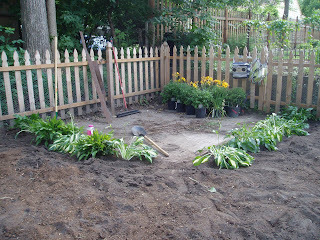 Like cooking, I really didn’t know much about gardening before I started, but happily accepted the challenge to learn. 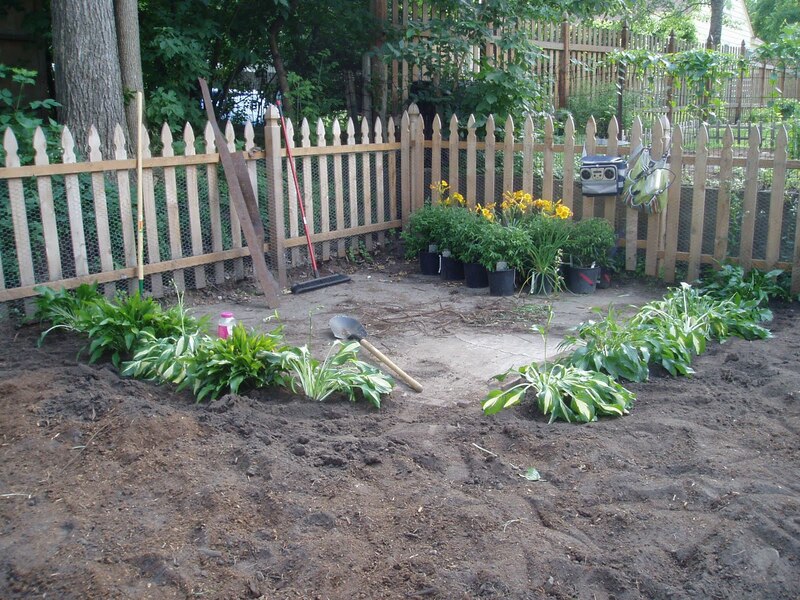 My husband and I have worked very hard over the four years we’ve own our house to fix up the yard and make it look colorful and inviting. Murphy isn’t the only obstacle we’ve faced in our attempts. When we bought our house, the previous owners left us a present: a brush pile in the back corner that had been sitting there for so long it killed all the grass beneath and around it. It took several weekends of breaking down sticks and bagging debris before the area was completely cleared. We tried seeding it several times, but the grass refused to grow. This area had really become a thorn in my side. 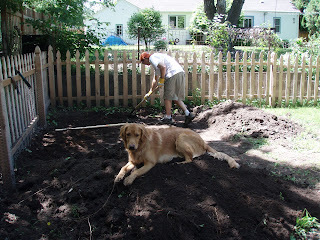 I was so sick of looking at dirt and frustrated by our failing efforts to grow grass. I wondered if this area would ever look nice. 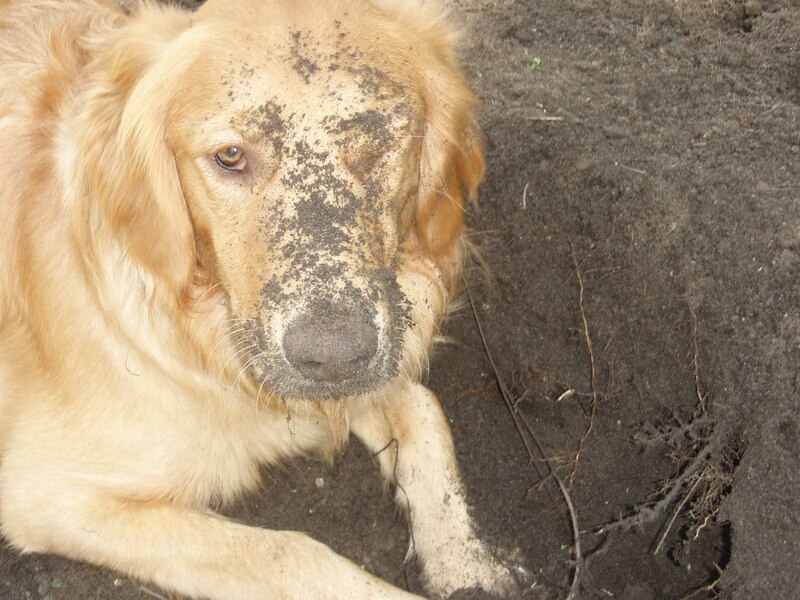 When we got Murphy, it was instantly apparent that this would be a huge problem because puppies LOVE dirt. 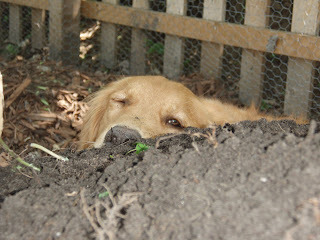 And when it rained, creating a mud pile rivaling the mess at Woodstock, Murphy was even more ecstatic. Something had to be done. 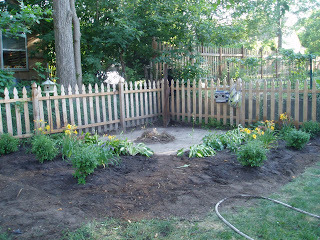 We considered sod, but then I had an idea to landscape the area instead. But what we found when we started digging completely changed our plans. As soon as Ryan plunged his shovel into the dirt, he struck something solid. He did this a few more times around the area and got the same result. 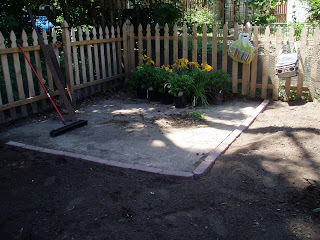 We removed a thin layer of dirt, only a few inches deep, and discovered cement. 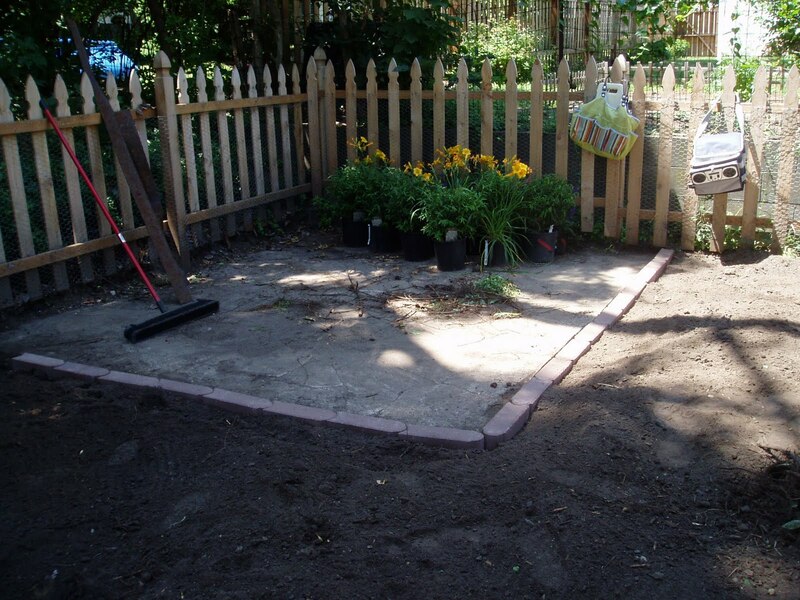 We continued until all the cement was exposed, revealing a 10’ x 10’ cement pad. Our first thought was, “How are we supposed to get rid of this?” After much consideration we decided to keep it, landscape around it and use the area as a patio. It took some reconfiguring of landscaping plans, swapping of plants and addition of fences to keep the dog out, but it finally looks nice. It’s no longer a thorn in my side; it’s something that I can look at and be proud of. Once the dirt is cleared, we have a new patio! Last summer I tried growing vegetables. As a kid, my mom used to make us pattypan squash. They’re one of my favorites, but since I moved to Minnesota I haven’t been able to find them at the grocery store. I decided to grow my own. With no room left in the yard for new gardens, I used a large aluminum tub instead, which would have worked perfectly had I not over-planted. Soon after the seeds began to grow, I was transplanting squash plants into my other gardens. It was an interesting mix of vegetables and flowers, but it worked and I was able to share one of my favorite summer vegetables with Ryan who had never had pattypan squash before. 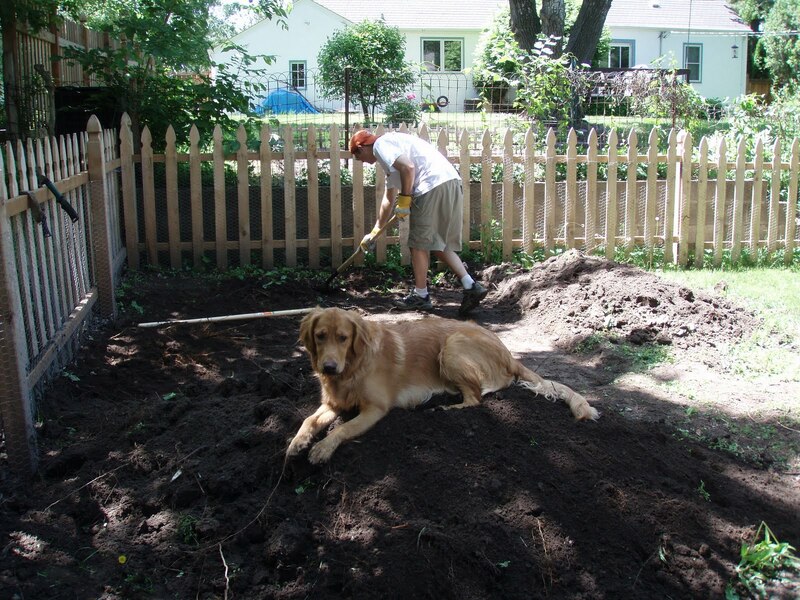 This week, as I observed my yard and protected my daylilies from Murphy, I imagined new places to dig up to expand my vegetable garden. 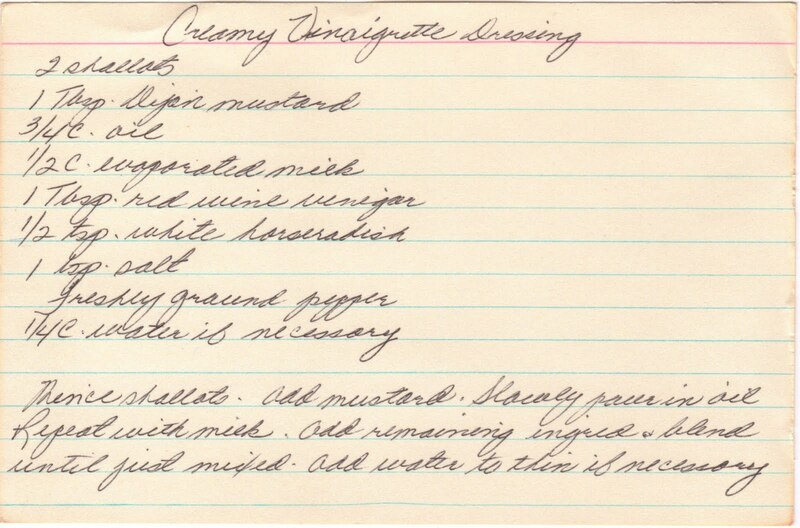 I thought of all the fresh fruits and vegetables that I could use for the recipes in the box. 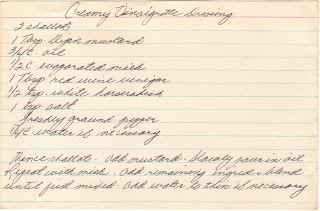 All this planning made me hungry for some fresh veggies and I was happy to find a salad dressing recipe in the box to accompany my cravings – Creamy Vinaigrette Salad Dressing. Don’t be fooled by the word “creamy” appearing in the name, this isn’t a thick, heavy dressing that will weigh down your leafy greens. It’s actually quite light, both in texture and in flavor, and has a taste that makes you feel as if you’re dining outside on a summer evening as the sun begins to finger paint in the sky. Well, at least that’s how I felt. If you try it, let me know what image it draws in your head! Looking out onto my budding gardens made me hopeful for this current period of my life. Although the outlook appears bleak, like a muddy patch caused by a huge brush pile, and I sometimes wonder when it will ever get better, all I have to do is watch the daylilies pop up and explode into brilliant yellow cups and see the stalks of purple salvia sway in the breeze to know this lull is only temporary. All I have to do is clear away the debris, reconfigure my plans and soon I’ll have something beautiful to gaze upon that will bring me happiness and satisfaction. And when that day comes, I’m sure I’ll find an appropriate recipe in the box to toast the occasion. You have a beautiful back yard! I am going to try tomatoes on the deck again this year and for the first time at this house, either flower beds or boxes in front of the house. :-) Hope all is well with you!